NW, is the first for Conrad Hotels & Resorts in the nation’s capital. The property is designed to bring Washington hospitality into a new era of modern luxury with its unique architecture, sleek interior design, inspired art collection and culinary offerings led by world-renowned chefs. in Beijing and The Tate Modern in London. Architect of Record, HKS Inc., served as the Production Architect on the project. Consultant Rottet Studio designed the interiors as a restrained, minimalist expression of purity of thought and design, to complement the carefully conceived building. The hotel also features a contemporary art collection inspired by the Washington Color School movement, curated by consulting firm Tatar Art Projects. 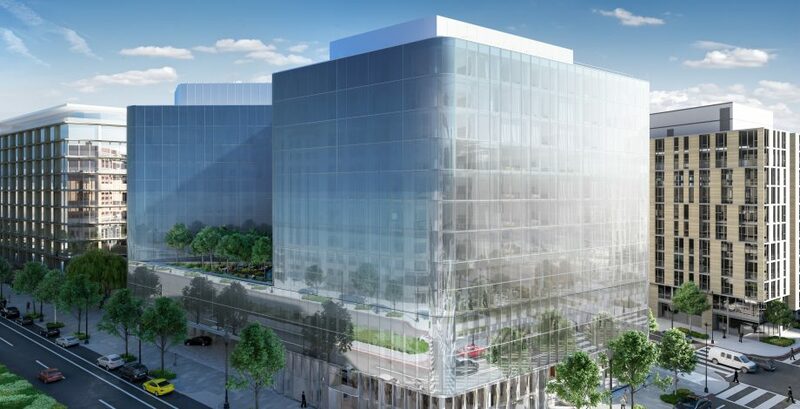 The hotel will offer 32,000 square feet of elevated meeting space bathed in natural light from floor-to-ceiling windows, as well as three outdoor terraces, a rooftop bar and dedicated event terrace featuring panoramic views of the U.S. Capitol. The property’s signature restaurant, Estuary, is a creation by James Beard nominees and “Top Chef” alumni, Bryan and Michael Voltaggio. purchase of club level guestrooms and suites. Deriving its name from the Japanese word for cherry blossom, the Sakura Club features an aesthetic influenced by the signature trees given to Washington, DC by Japan in 1912. The exceptional experience features elevated personalized service that begins before guests arrive and extends throughout their stay and beyond. As part of this service, the Sakura Club offers a serene environment featuring meals made to order by a private chef, a dedicated club concierge, use of private meeting rooms, priority reservations at Estuary and special access to rooftop bar events. Room. Visit newsroom.hilton.com for more information, and connect with Hilton on Facebook, Twitter, LinkedIn, Instagram and YouTube. Hines is a privately owned global real estate investment firm founded in 1957 with a presence in 207 cities in 24 countries. Hines has approximately $116.4 billion of assets under management, including $64 billion for which Hines provides fiduciary investment management services, and $52.4 billion for which Hines provides third- party property-level services. The firm has 109 developments currently underway around the world. Historically, Hines has developed, redeveloped or acquired 1,319 properties, totaling over 431 million square feet. The firm’s current property and asset management portfolio includes 527 properties, representing over 224 million square feet. With extensive experience in investments across the risk spectrum and all property types, and a pioneering commitment to sustainability, Hines is one of the largest and most-respected real estate organizations in the world.